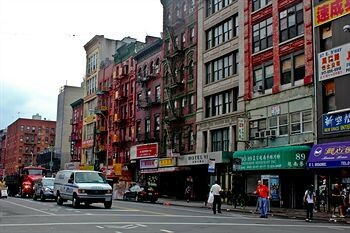 Property Location Located in New York (East Village - Lower East Side), The Hotel 91 is minutes from Eldridge Street Synagogue and Manhattan Bridge. This hotel is close to Brooklyn Bridge and New York University.Rooms Make yourself at home in one of the 70 air-conditioned rooms featuring flat-screen televisions. Your room comes with a pillowtop bed. Complimentary high-speed (wired) Internet access is available to keep you connected. Private bathrooms with shower/tub combinations feature complimentary toiletries and hair dryers.Rec, Spa, Premium Amenities Make use of convenient amenities, which include complimentary wireless Internet access and a television in the lobby.Business, Other Amenities Featured amenities include complimentary high-speed (wired) Internet access, a 24-hour front desk, and multilingual staff.